Welcome, and thank you for finding www.mooreappraisalfirm.com. As you may have read in our home page, we are a real estate appraisal company established in Helena around 1965, by Jack B Moore. 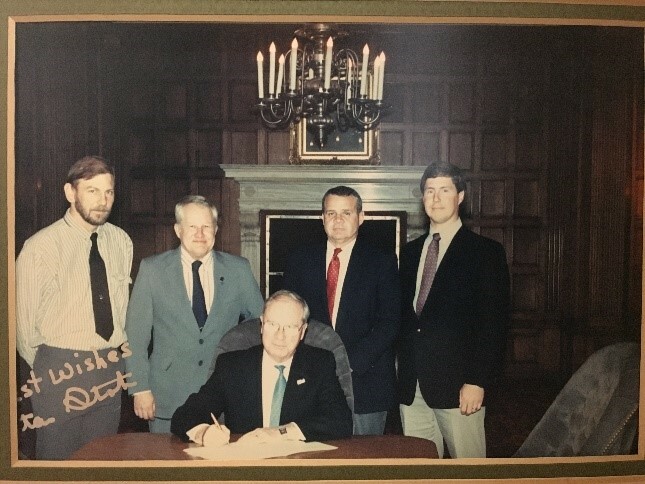 Over the past 50 or so years, two generations have followed in Jack’s footsteps, including Joe Moore, IFAS (son), Tim Moore, IFAS (son), Sue Moore, (daughter), and Shaun Moore (grandson). We have had other appraisers come and leave the firm over the last half century, and we continue to grow our company today. There have been a lot of changes over the past 50 years in the appraisal profession. When my grandpa began, at the request of the Veterans Administration, appraisals were completed on a one-page form, written in pencil, and hand delivered to the banks. The pencil forms were eventually replaced with a typewriter that Grandma completed for him. Tim and Joe saw the age of computers come into the profession, but I can still remember them using 35mm cameras, and the 1-hour photo shop down the street for pictures. Even myself, with 15 years in the profession have seen drastic changes with digital photography, computer generated forms, and the electronic delivery of appraisals. Yes, I was fortunate enough to have the experience of hand delivering my appraisals straight to the lender. That’s an experience I wish every appraiser could have; it is definitely a confidence builder. Trust me. Email, the internet, smart phones and tablets… the more recent changes have probably been the biggest leap in technology the profession has seen. It’s been good, mostly, but has certainly produced struggles. Regulatory changes in the last decade have changed the industry, and many would argue that it was not for the better. 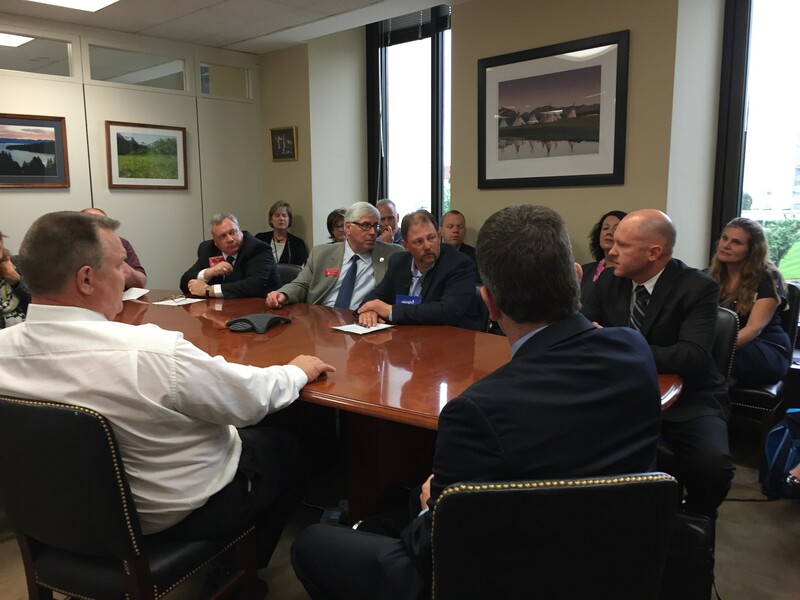 The implementation of The Dodd-Frank Act and the HVCC were enough to drive many appraisers out of the profession. From the beginning, members of our firm have been in the trenches fighting to protect not only the appraisers, but the best interest of the public as well. In 1991 Jack was appointed to the first Board of Real Estate Appraisers in Montana. 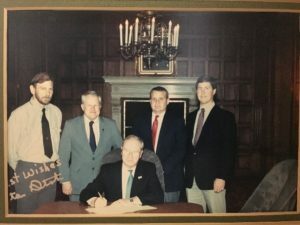 He was the founder of the Helena Chapter of the National Association of Independent Fee Appraisers and served as the state director for the Independent Fee Appraisers. 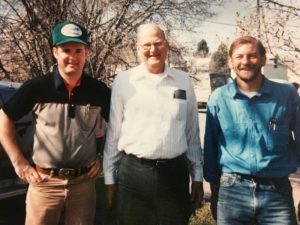 Sometime in early 90’s, Joe and a small group of other appraisers led a successful drive to institute licensure for appraisers in the state of Montana. From 2000 to 2008 Tim served on the Montana State of Board of Real Estate Appraisers, chairing that board for 4 of those eight years. 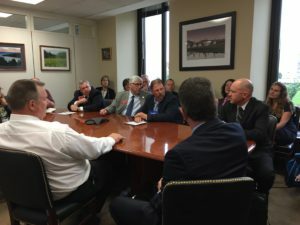 Today, I was just appointed to a 3rd term on the Valuation Committee for the National Association of Realtors® – a committee that gives appraisers a voice with one of the largest lobbying influences in our nation. I am also active with our state Appraisal Institute Chapter, serving on the Government Affairs Committee, and most recently voted to the Nominating Committee. If I sound like I’m bragging about our firm, well, I am. We’ve been around a long time, and have more accumulative experience than, I would guess, most any other appraisal firm in the State of Montana. We practice in commercial, residential, and agricultural appraisals for lender and private clients. Very rarely will we turn away an assignment; but, with our vast network of peers, when we aren’t able to help, we will usually have a good recommendation of a qualified expert that can. Call us today for a free consultation. And thank you for choosing the Moore Appraisal Firm. This is interesting and well-written even for someone like me who is not in the business. Congratulations to the Moore family for all your success! What a great legacy you have in a long history of a family own and operated business. You should be proud of your family history and your path into the future. Great Job Shaun. Nice work on this new site–good historical journey of the business. I am still somewhere between Shaun’s new technology and Jack and Penny’s non-technology. I remember picking up photos from 1 hour photo processing, that was a big change in the industry. Before that I remember taking polaroid photos for reports. 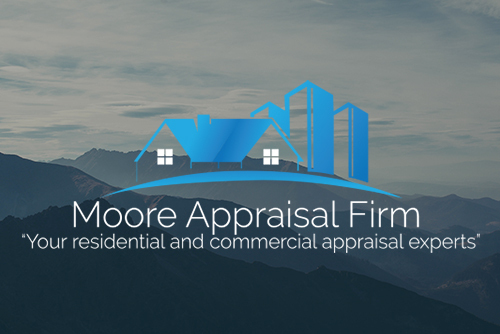 As a late comer to the Moore Appraisal firm I was blessed to experience great training and knowledge from Tim, Shaun and Joe. I am grateful for all the experience they continue to share and the examples they set in the industry.